Join the conversation as the Sounders look to gain ground on the Cascadia-Cup-holding Vancouver Whitecaps on Saturday at B.C. Place.Chat goes live a few minutes prior to the 4 p.m. kickoff. 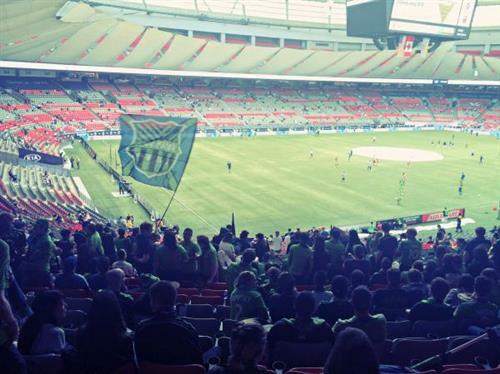 On a scale of 1-Star Wars Episode 7, how excited are you for #VANvSEA ?! 1’ - HERE WE GOOOOOO!!!! 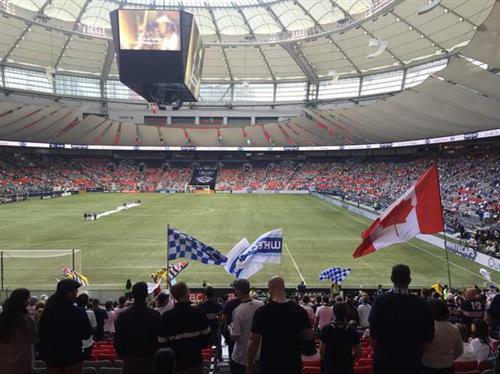 @WhitecapsFC with the tap and #VANvSEA is underway. COME ON, SEATTLE! UBC Athletics was great when Martha Piper was UBC president. Martha truly cared. She got it. It's been downhill since. Hope that changes. 1’ - Tyrone Mears with a headed clearance WITH PURPOSE. 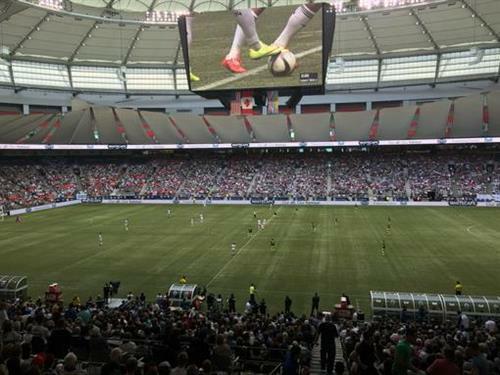 2’ - Vancouver starting with the ball. Knocking it around. Not doing much. Sounders sitting in here. 3’ - And the first corner of the match goes to Vancouver as Brad puts in a nice tackle but it goes out? Ok.
4’ - Look at that. Clint Dempsey with the headed clear there. Love it. 4’ - Ha Morales with the old swingggggg and a miss to put it out of play. Nice one buddy. 5’ - GOALLLLLLLLLL CHADDDD BARRRRRRETTTTTTTTTT!!!!!! 5’ - BEAUTIFUL ball played in over the top by Dempsey to Barrett who slides it home with the outside of his foot to give @SoundersFC a lead! 6’ - Cool. As. You. Like. GOOOALLL Seattle. Chad Barrett gets in behind Waston and Caps' D on a nice pass from Dempsey. Poor from Caps but there's goals in this game. 7’ - Fingertip save there by Frei as Morales cuts inside and tries to bend one with the outside of the boot. Corner. 7’ - Corner comes in and is headed over the bar by Kendall ‘it’s not Watson’ Waston.